If you like that vote for me and if your desperately in love with him don't. 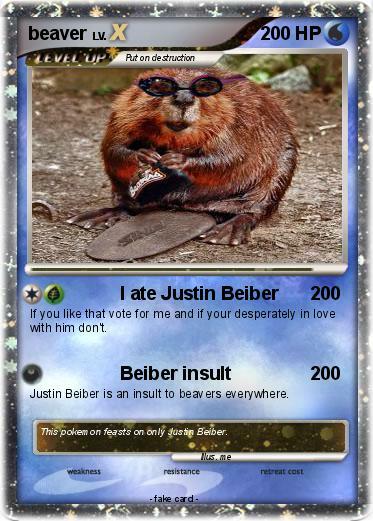 Justin Beiber is an insult to beavers everywhere. Comments : This pokemon feasts on only Justin Beiber.